Shaw’s Freedom Mobile launched all-new plans today, which includes a $50/month plan with 10GB of LTE data, part of the carrier’s aggressive move to gain customers from Canada’s Big 3 wireless players, Rogers, Telus and Bell. One way Freedom Mobile wants to lure in new customers is to offer maximum subsidies across all smartphones offered, resulting in the “free” or $0 up front payment, through MyTab Boost subsidies. The move plays right into what some Canadians still love: $0 payments up front for the latest smartphone, even if their high monthly plan pays for subsidies over two years. 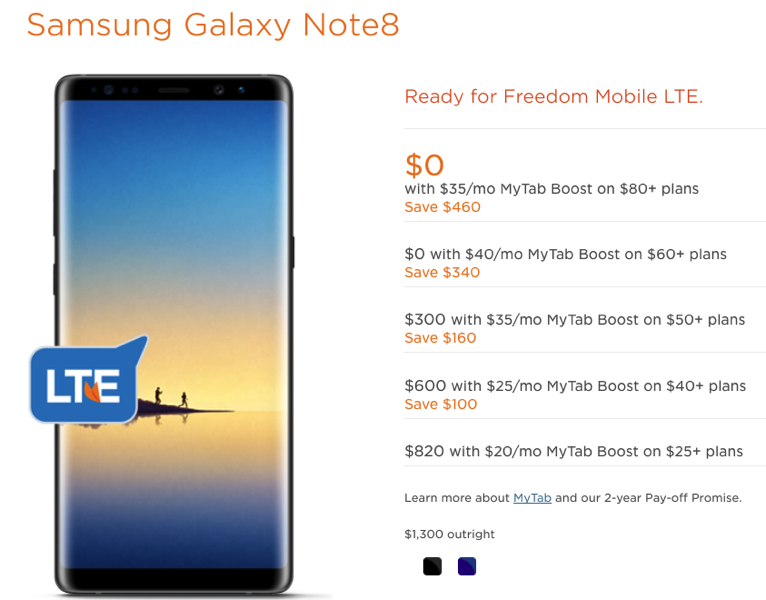 The Freedom Mobile website lists “$0” next to all smartphones listed, while internal documents obtained by iPhone in Canada specifically highlight how customers can get the latest Samsung Galaxy Note8 and Google Pixel2 XL for free up front, via MyTab Boost and $80+ monthly plans. For a monthly fee, MyTab lets you reduce the amount you pay upfront on a phone by putting a portion of it on a tab which gets paid off as you pay your monthly bills. 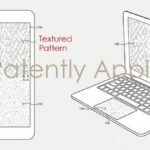 You can select from a number of MyTab Boost tiers ($5, $15, $25, $35, $40 or $50/month) with each tier increasing the amount of money you’ll get towards the price of a new phone, thereby lowering the upfront cost. Your MyTab balance decreases by an equal amount each month. The reduction is calculated by dividing your MyTab balance by the number of months left in your 24 month term from the date of purchase. So for the $0 up front with an $80+ plan for a Note8 or Pixel2 XL, you’ll be paying at least $90 or $100 per month, since there are no $80 per month plans now (unless you’re on an older plan that costs $80 or higher). Again, with Freedom Mobile confirming sales of the iPhone soon, you can pretty much apply these max subsidies towards an iPhone 8, iPhone 8 Plus or iPhone X, as these models will support the carrier’s Band 66 LTE network.